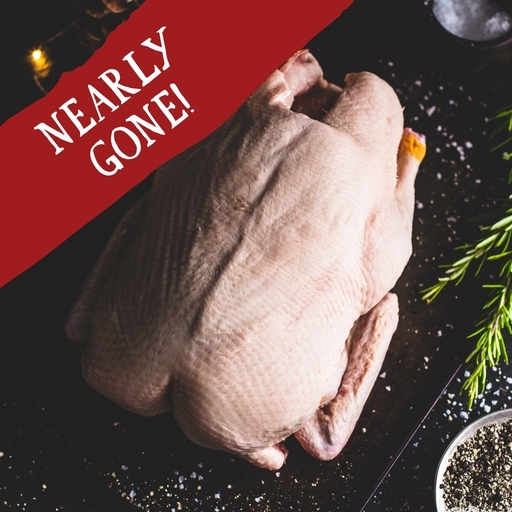 With temptingly crisp skin and rich meat, our organic whole ducks make a mouth-watering centrepiece. They are slow-grown and free range, for succulent meat that’s full of natural flavour. Use the fat for the very best roast potatoes. Serves 3-4, minimum weight 2kg. 2 hours before cooking, lightly prick the skin all over and season generously with salt and pepper. Remove the bag of giblets from the cavity. Preheat the oven to 220°C/Gas 7, cover the duck with foil and roast for 30 mins. Remove the foil, baste with the fat and reduce the heat to 180°C/Gas 4. Roast for 30 mins per kilo, basting halfway through. To check the bird is cooked, insert a sharp knife into the thickest part of the leg where it joins the breast; the juices should run clear. Leave to rest for 20 mins before carving. Use the giblets and wing tips for stock/gravy. Keep in the fridge at 5°C or below, and use by the date shown on the label. You can freeze on the day of delivery and store for up to one month. Make sure the duck is defrosted thoroughly in a fridge and cooked within 24 hours. Do not refreeze once thawed. Our organic free-range ducks are reared by Ross Gardner, whose family have been farming poultry for half a century, and Rod Hall aka Roddy from Rod & Bens, just up the road from us on Bickham Farm, Devon. They certainly know how to keep their birds happy; the farm is Soil Association certified, for the best possible standard of welfare.